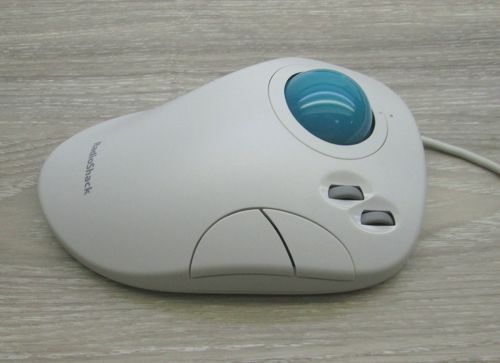 so, I am looking for a PS/2 trackball with 3 buttons because I'd like to use it with RISC/OS v4.39, which requires a mouse/trackball with 3 buttons. There is a guy on a local flea market who has a RadioShack trackball for sale, so I wonder how good/bad it is. I cannot find a review on the internet. Does anyone happen to own it? Or to have used it? Which model are you referring to? 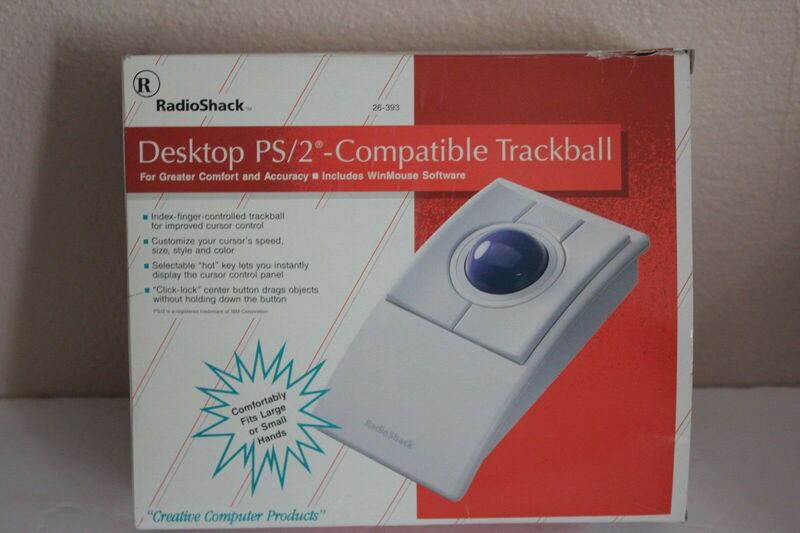 A Google search suggests that RadioShack sold at least two models of trackball. There's this one. which looks pretty cool, but the lack of optical tracking would presumably mean almost any trackball from this century would be a better performer. And then there's this one. Is that a rebranded CST trackball? Those are well liked, although I think they've only got two buttons. No surprise. This A4Tech seems to have been a pretty cheeky outfit. That first one also looks like a somewhat looser knockoff of a Microsoft Intellimouse Trackball. why not? what is bad? Low CPR, which on high tea displays means its either a lot of work to move the pointer around or its imprecise. What is CPR? What does it stand for? what do you think about the trackball made by ITAC SYSTEMS? I need something of this shape, with 3 buttons. I cannot find the CPR for the RadioShack. Anyway, I will go for the ITAC. For the ITAC ... I will probably need to import a device from the US. I need to operate on an X terminal, the screen is 1024x768 pixels 24bit color @60Hz. I am going to develop a few OpenMotif applications, but I'd like to use InkScape and Gimp (based on GTK* libraries), and I am also trying to integrate an old serial RS232 Tablet by Wacom. I don't currently have this particular model (ordered, but haven't received for two months), but my WWT-5E seems to have identical ball mechanics, and it is 400 CPR (that is, 80 DPI).